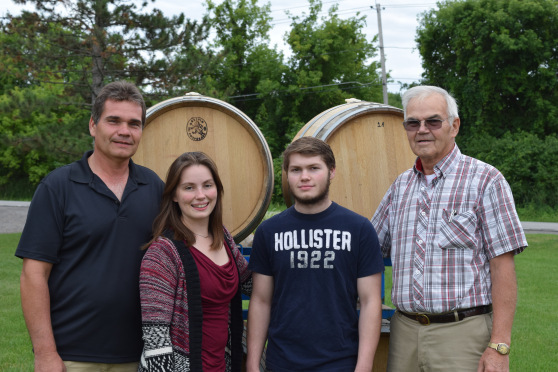 Long Cliff Vineyard & Winery, Inc. is a three generation family farm dedicated to producing fine wines right here in Niagara County! Farmers first, we've been working this same land for almost 50 years, and truly believe the key to a good wine is a successful growing season! All of our grapes are estate grown in our 5.5 acre vineyard and include varieties such as Riesling, Pinot Gris, Pinot Noir, Sauvignon Blanc and Blau Frankish. Open year round for tastings! For an extra special experience, contact us to arrange a private vineyard tour & barrel tasting! You won't regret spending an hour of your visit with one of our winemakers, who will guide you through the entire process from grape to glass!